Belgian five piece Black Flower have revealed a new, environmentally-concious sound with their fresh single, ‘Hora de Aksum’. The single coincides with the announcement of their third album ‘Future Flora’, which will be welcomed by many after being championed by the likes of Gilles Peterson and LeFtO. 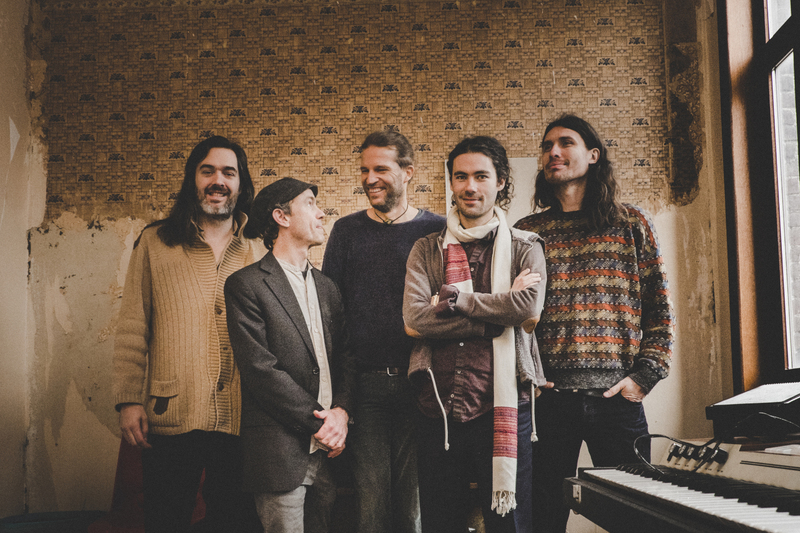 The upcoming third album from Nathan Daems (alto saxophone), Jon Birdsong (cornet), Simon Segers (drums), Filip Vandebril (bass) and Wouter Haest (keys) shows expanded experimentation around psychedelia, folklore and as expected, African groove. The new single, ‘Hora de Aksum’ teams modern western rhythms with doses of Balkan quirks. It’s the first taste of an album which beholds themes of the environment, climate change and nature. The record is set to entertain and create conversation, punctuated with references to Ethiopian music, dub and jazz. \\ Plants are at the centre of this album, tell us about the narrative behind it. Everywhere in the landscapes we’ve travelled across, we found cracks in pavements and undiscovered or forgotten fertile grounds. Future Flora can come in many forms; a mental image, a dream, an idea that forms in your head, a feeling in your stomach. As urban warriors, these delicate seeds can grow, flower and bear fruit if – and only if – we nurture! Ideas, sound, song, nature! We play instrumental music, so people are free to find their own meaning and inspiration of what we call ‘Future Flora’. \\ How can artists empower themselves to speak up on topics that matter to them? Nurture a strong and humble self-esteem on every level, and also artistically. Get inspired by the courage of many previous and contemporary examples of artists with a message and don’t hesitate to make your own authentic and sincere statements with your art. That’s a good way to make use of your art, to give something back. \\ What creative journey have you been on since the release of ‘Artifacts’? I’m very inspired by how a lot of Balkan music, in many ways, has added strong bass lines and invented very smart and effective chord progressions to the music that inspires them; Turkish classical and folkloric music. For Black Flower, I developed similar ways to add bass lines, chords and modulations to Ethiopian scales. In our new repertoire the strong underlying groove is still omnipresent, but the freedom for psychedelics, folklore and experimentation has deepened. \\ Tell us about the Belgian Jazz scene – who should we be listening to? There’s a lot of crazy cross over happening right now. Jazz-wise, I’m also playing in Echoes of Zoo (oriental afro punkjazz) and Ragini Trio (Indian Jazz) but definitely also check out Beraadgeslagen, De Beren Gieren, Compro Oro, Stuff, Tcha Limberger, Soolmaan Quartet, Myrddin, and Dans Dans.